*HOT! * SHEIN – 80s Color-block Dip Hem Flare Dress just $18 + FREE Shipping! This deal is only valid for approx 40 more minutes to get FREE shipping (around 9:10am EST) for a limited time! They just extended the FREE shipping offer for a few more hours! 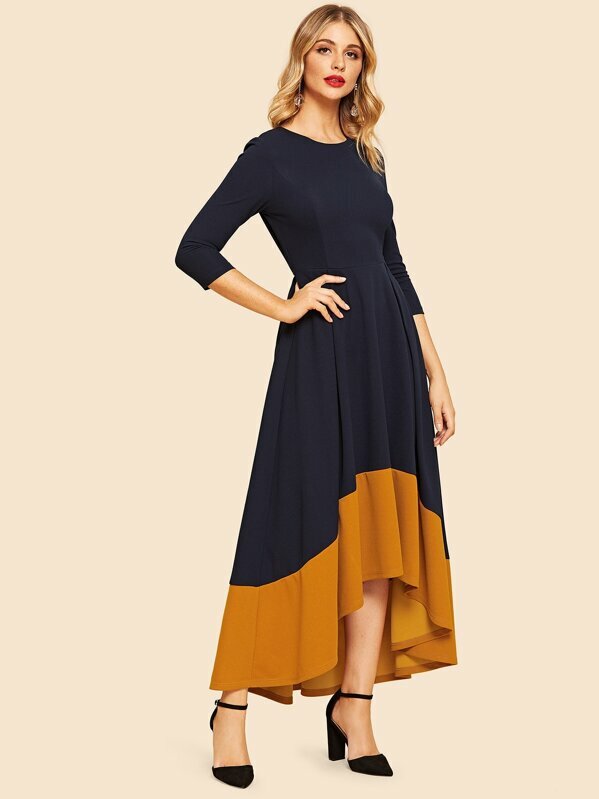 Snag the SHEIN 80s Color-block Dip Hem Flare Dress on Shein for just $18 + FREE Shipping! Available in sizes S/M/L (see size measurements for a good fit!). FREE returns! BE SURE TO UNCHECK the $2.99 shipping insurance that is automatically added during checkout!